Hi love the the theme, the only problem is that on the lost vape mirage 75c the fire button led is on constantly. Hello sir, what a nice classy looking theme. Sorry for this noob question, this theme can be use on Hcigar VT75D mod also? Hye sir, can you revise the watt increment adjustments in 0.5 increment? Or there is any way i can adjust it myself? Sorry very new to this theme & all that. Thanks btw. 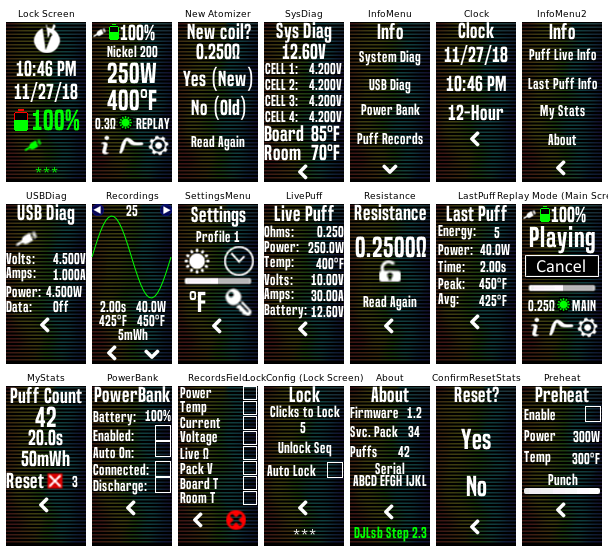 Hi nashpantheron, watts are available in .5 increments from the REPLAY screen so you could work from there...or change the increments displayed on MAIN screen by following these steps using Theme Designer in EScribe to edit the settings for both the Default Condition and Toggle 1 tabs shown below. Hope that helps? Hi nashpantheron, stats for up to 4x batteries will be included in Version 2.0.1...will PM you when this becomes available. Thanks for the feedback! Hey buddy, Great theme! 3x battery stats and powerbank feature (not that I would use it) would be nice now that I have my new Triade. Make it happen! Glad you like the theme...I will include up to 4x cells and powerbank feature soon. Will PM you once uploaded. So when you access 'Replay Mode' does that automatically save the last puff from 'Main Screen' ? To cancel the saved last puff you have to go back to 'Main Screen'? Hi RawrRomp, puffs aren't automatically saved, in all instances you will need to hit the 'save puff' button in order to activate Replay. Hope that answers your question? I've just loaded your theme and would like to use replay. I seem to be able to get into it and use it fine. 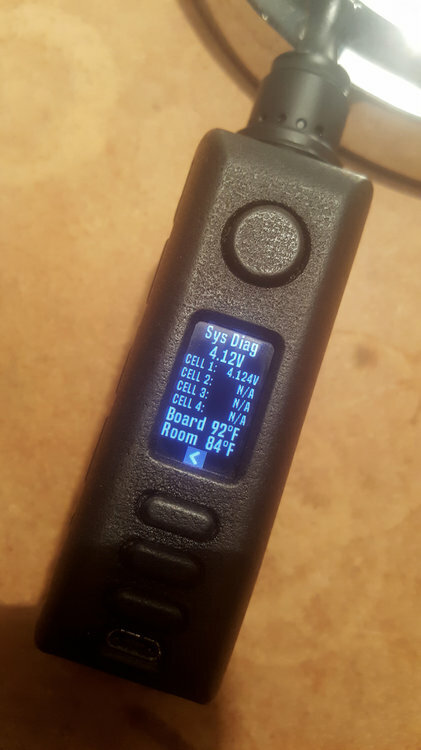 But, when I lock the mod (Paranormal 250C) and then unlock, it seems to default back to watts - or am i just seeing a different screen - do you have to click on replay each time? Can this be fixed so if i lock while in replay, it stays in replay when unlocked? You can reassign the default screen to be the REPLAY screen using Theme Designer in EScribe. I will post some guidance on how to do this within the next day or two. Replay will remain active even after locking/unlocking, so if you are using Replay and then lock/unlock your device you will default back to the MAIN screen but replay will still be active in the background so you can continue vaping without the need to go back to the Replay screen, unless you decide to reset Replay (usually required after change in ambient temperature). I will introduce a small icon on the MAIN screen to indicate the Replay status in V2.3. Hope that clarifies things, I will PM you once I have uploaded guidance notes. No need to post the instructions to make REPLAY the main screen - don't really want to do that. 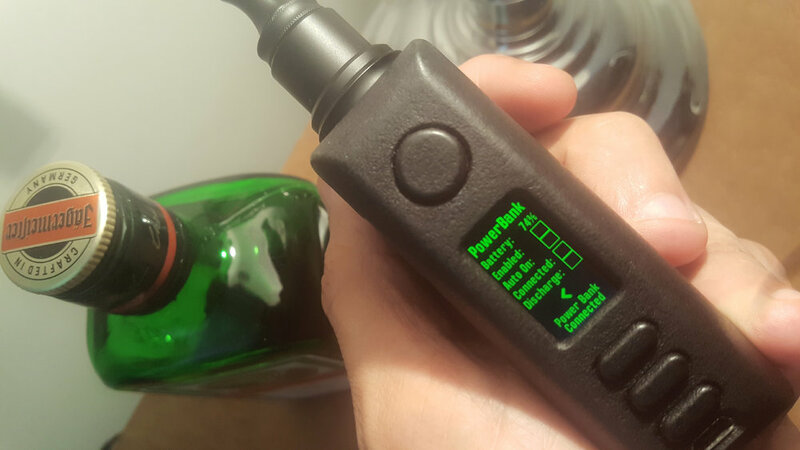 Thanks again for explaining, escribe is so advanced and so is this mod. 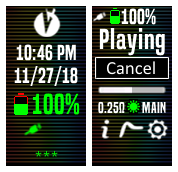 I'm normally a plug and play guy so your augmented theme has been a godsend in using replay. How possible is to get rid of the paranormal logo, and either leave it blank or insert the Finder logo. Can we get the 2.2 stealth please ? Hi sdkyron, will make sure Stealth option is the next one on my list to update (hopefully this week). Will PM you once uploaded.